CASology: Week 207: Weekly Winners! 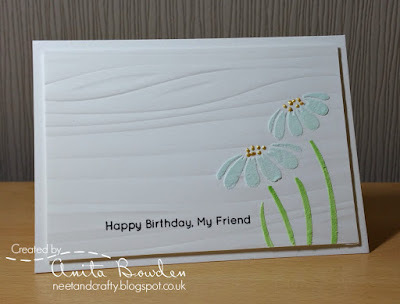 Anita perfectly combines techniques to create great texture & movement on her card while still preserving white space, keeping the design clean & simple! 1. Ardyth's Choice: Rosemary's bold but limited colours surrounded in white space are perfectly CAS! 2. 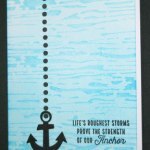 Jen's Choice: Annie's black anchor and sentiment really pop off the gorgeous ocean background. 3. 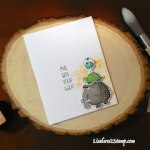 Judy's Choice: Nicola's adorable card makes a "rough" situation totally OK and oh, so cute! 4. Kymona's Choice: Felicita's card is so cute. I love all of the texture and coloring. Nicely done! 6. 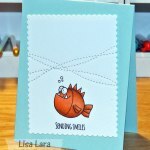 Hazel's Choice: Chriss's superb CAS card demonstrates that white space doesn't have to be white! 7. 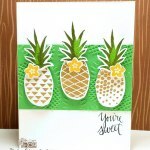 Tracey's Choice: Kathy's pineapples and embossed panel surrounded by white space is wonderfully CAS! 8. 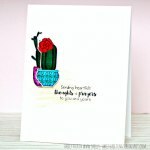 Sherrie's Choice: Love all the white space surrounding Shelly's ROUGH and brightly colored cacti. 10. 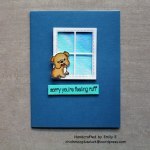 Hannelie's choice: Emily's sweet doggy wishes to someone with a ruff day stole my heart! Love it ! 11. 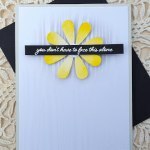 Melissa's Choice: Tenia's use of monochromatic color, subtle texture & plentiful white space is A+! Be sure to stop back in an hour for challenge #208! Congrats to all! 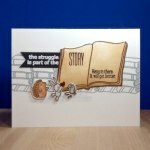 Thank you for selecting me as an honourable mention in this fine group of cards! Thank you so much for the honorable mention! CONGRATS to Anita on the WIN and the other HM! thanks so much for the honorable mention, ardyth! congrats to all the other honorable mentions and to the winner! Thanks, Jen, for the Honorable Mention! Congrats to all! 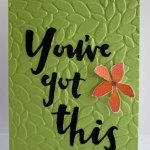 Congrats to all of the winners and thanks for the shout out.....YAY! !